LOVELAND — Public officials from all over Northern Colorado gathered Monday morning at the park-and-ride at Interstate 25 and Colorado Highway 402 at Loveland to celebrate the start of the North I-25 Express Lanes project. The three-year project will build express lanes both north and south between Highway 402 and Fort Collins as part of a massive effort to improve traffic flow along the highway north of Denver. When completed, several miles of interstate will remain to be expanded between Highway 402 and Colorado Highway 66 at Longmont. Gov. 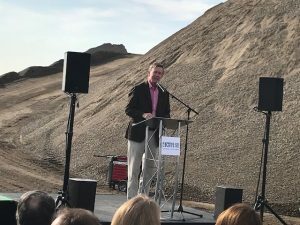 John Hickenlooper and Sen. Michael Bennet were among those who mounted the makeshift dais to mark the official start of construction. The chorus sung by each of multiple speakers was the same: That local and political leaders put aside differences to figure out how to expand the highway. Bennet said this project, among others happening now in the state, are an attempt to pay homage to past generations. “There are too many places where we’ve allowed the infrastructure our parents built to fall into dust. Future generations will remember what we are doing now,” he said. Kathy Gilliland, District 5 representative on the state Transportation Commission, called the start of work a “red letter day.” District 5 includes Larimer, Morgan, Weld and part of Broomfield counties. “I’m so proud of Northern Colorado and all the communities that worked together. 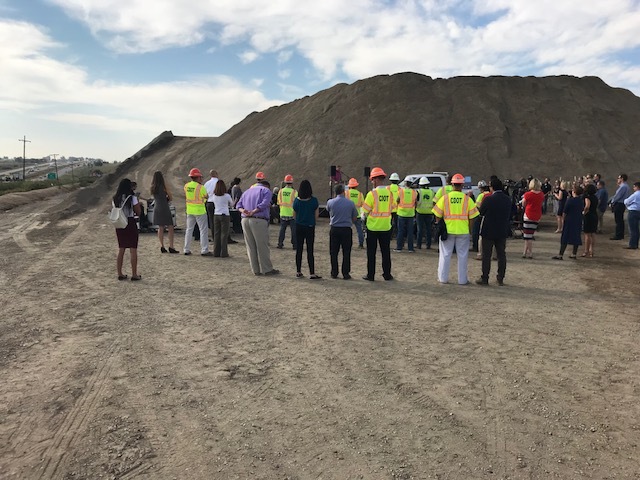 I’m so excited to see this get underway,” she said, noting that gridlock on I-25 affects the ability of businesses to grow and to get products in and out of the region. “We’re not done. We still have segments south of here to get underway,” she said. Tom Donnelly, a member of the Larimer County Board of Commissioners and chairman of the North Front Range Metropolitan Planning Organization, said success with this project was contingent upon communities working together. “Even communities that don’t touch I-25 agreed to commit money to the project,” he said. “This feels fairly foreign — governments working together. 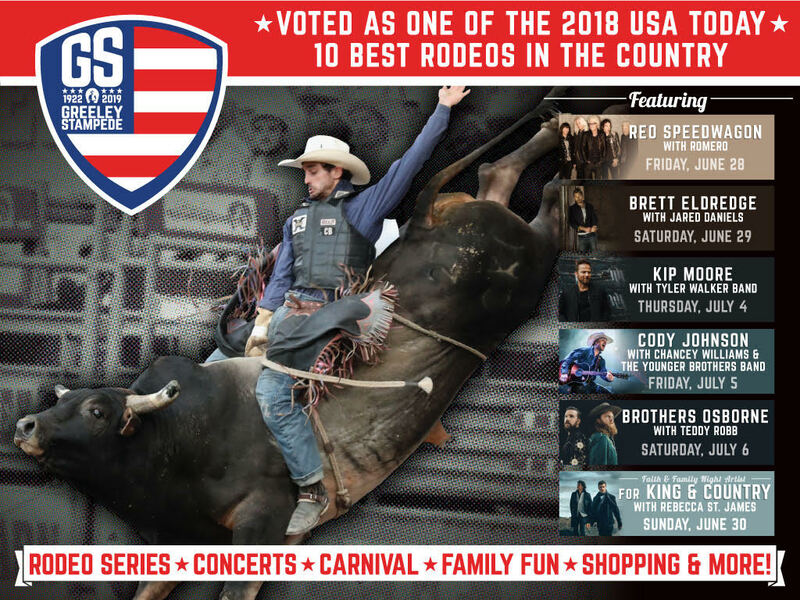 In reality, that (governments fighting and not working together) has never been the case in Northern Colorado,” he said.